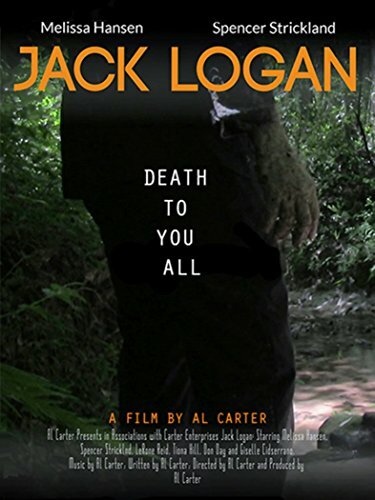 Hey, Who Needs “Logan” When You’ve Got “Jack Logan” ? I keep hearing great things about Logan. People say it’s the best “X-flick” of the bunch. I’m looking forward to seeing it, but I just haven’t had the time yet. Or, perhaps I should say, I haven’t made the time yet — but I probably should have made it the other night, because I stayed home and watched 2016 indie no-budget horror Jack Logan on Amazon Prime instead, and guess what? That turned out to be a huge mistake. Dar (Adrian Pasdar) and Tuck (Chris Penn) are two losers. Dar is angry. Tuck is a moron. They live in a dying Pennsylvania industrial town, where they have no future. Dar is worried that the air has been poisoned by the nearby coal mine. 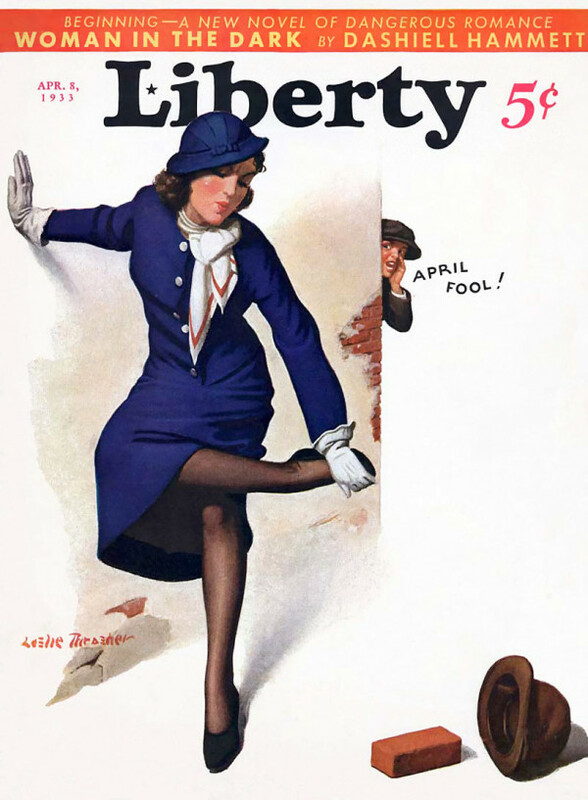 He and Tuck decide to go to California so that they can look for a woman whose picture they’ve seen in a magazine. Since Dar and Tucker have no money and no one is willing to pick up two hitchhikers who like they are on sabbatical from the Manson Family, they end up having to steal cars and hold up convenience stores. They also pick up a mentally unstable woman named Annie (Lori Singer). Annie may be dying because of all the pollution in the world. Dar and Tuck take the time to transport a Native American runaway back to her reservation, where they both get scalped. Mostly, Dar and Tuck just drive through some of the ugliest parts of America and talk about how, because of pollution, everything is all messed up. In the 1990s, Made In U.S.A. used to show up frequently on HBO. It’s a lousy movie, featuring one of the worst performances of Chris Penn’s career. (Adrian Pasdar is also pretty bad but more is expected from Chris Penn than from Adrian Pasdar.) Made in U.S.A. does provide a contrast to the relentlessly pro-American films that dominated the box office in the 1980s but it’s really only noteworthy for the soundtrack, which features songs by Sonic Youth and Timbuk3. Whatever you do, do not mistake this Made In U.S.A. for Jean-Luc Godard’s. Twin Peaks started with Marilyn Monroe. It sounds like a bad April Fools joke but it’s true. In 1986, after the success of Blue Velvet, David Lynch was hired to direct a biopic of Marilyn Monroe. Lynch would later say that the Monroe film never happened because, while he liked the idea of doing a story about “a woman in trouble,” he was not comfortable with telling a true story. Even though the film was never made, it did lead to David Lynch meeting and befriending a screenwriter named Mark Frost. Frost, who had written for ground-breaking TV shows like Hill Street Blues, was one of the many screenwriter who would take a stab at the screenplay for the Monroe project. Even after it became obvious that the Monroe biopic was never going to be produced, Lynch and Frost continued to look for projects that they could work on together. After several film proposals that failed to generate much interest, they followed the advice of Lynch’s agent and worked on a project that, like Blue Velvet, would look at the underbelly of life in small town America. Lynch and Frost started with an image, a body washed up on the shores of the lake. The body was Laura Palmer who, like Marilyn Monroe, was a woman in trouble. Originally called North Dakota (because that was where it was originally meant to take place), this is the project that eventually became Twin Peaks. Twin Peaks premiered on ABC on April 9th, 1990 and, for its first season, it was a phenomena. Though critics were often baffled, audiences were intrigued by the combination of Lynch’s surrealistic vision and Frost’s serialized storytelling. Twin Peaks was nominated for 14 Emmys at the end of its first season. The second season, however, saw rating sharply decline as audiences, critics, and executives all decided that the show was just too strange. After just 30 episodes, Twin Peaks was canceled. Even after it ended, Twin Peaks lived on. There was a feature film. There were frequent reruns on stations like Bravo. Twin Peaks‘s quirky style changed the face of television. Shows like Picket Fences and Northern Exposure were basically Twin Peaks-lite, quirky without ever being truly surreal. Despite the unceremoniously way that it ended, Twin Peaks never went away and new audiences discover it every day. In May, 26 years after it went off the air for the first time, Twin Peaks will be returning. with new episodes, to Showtime. Before it starts again, we are going to take a look back at the original Twin Peaks on this site. Look for Lisa’s review of the pilot tomorrow. I freaking hate it when people do stuff like that. Seriously, that’s a really awful way to treat your loyal readers. If any of the blogs that you follow pull anything like that on you today, I suggest you unfollow them and instead, switch your allegiance over to us. We love you. But anyway! Since I won’t be writing about a fictional film, I thought I might take this opportunity to tell you about Harrow Alley, a screenplay that has frequently been described as the best script to never be produced. Harrow Alley was written, in 1970, by a screenwriter named Walter Brown Newman. It’s a historical film, one that is set in the 17th century. The Bubonic Plague is ravaging London but the citizens of the Harrow Alley neighborhood are simply trying to survive from day-to-day without sacrificing their humanity. Harry is a well-meaning alderman who, after every other official flees the city, finds himself as the unofficial leader of Harrow Alley. He’s an optimist who provides strength to the entire neighborhood but the demands of being positive in the face of death start to wear on him. His wife is pregnant and, much like Rick Grimes in The Walking Dead, he has to wonder whether it’s right to bring a child into this Hellish world. As the film progresses, he watches as his friends and neighbors die of the plague. He’s even forced to kill his beloved dog. Harry befriends Ratsey, a thief who survived the plague when he was a child. With everyone wrongly convinced that Ratsey is now immune to the plague, the former thief becomes one of the most respected men in the neighborhood. (Because of his “immunity,” he is also one of the few people who can help dispose of the dead.) With Harry as his mentor, Ratsey becomes respectable. Ratsey starts out as a cynical opportunist but, in the middle of the Great Plague of London, he discovers his humanity. Even when Ratsey learns that no one is immune to the plague, even if they’ve had it before, he does not flee. He continues to help dispose of the dead. But even as Ratsey becomes stronger, Harry grows weaker. When his wife and child die, Harry vanishes. Ratsey steps into his place. Ratsey becomes the new leader of Harrow Alley. And, months later, when Ratsey arrests a beggar who has just killed a man, he is shocked to discover that the beggar is Harry. And so the film ends. Sounds like a really happy movie, doesn’t it? And did I mention that the script is apparently 180 pages, which would translate to three hours of screen time? It’s easy to see why Harrow Alley has never been produced. Can you imagine being the advertising genius who has to make a three-hour film about the Bubonic Plague into a box office success? 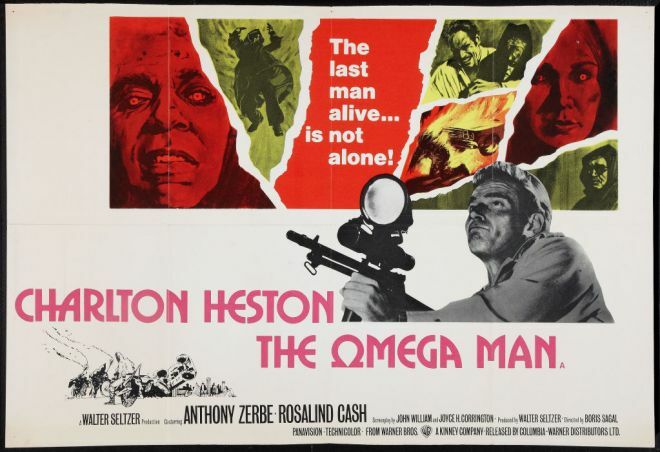 That said, the film still sounds incredibly intriguing to me. Maybe it’s because I’m a history nerd, but the story just fascinates me. From what I’ve heard, this is a script that literally has everything: tragedy, romance, and even a little dark comedy. Interestingly enough, Harrow Alley apparently came close to being produced in the 80s. In this projected version, Harry would have been played by George C. Scott while a young Mel Gibson would have played Ratsey. It sounds like brilliant casting to me. If they produced the film today, I could just easily imagine Gibson in the role of Harry and maybe Tom Hardy as Ratsey. Though Walter Brown Newman died in 1993, his script is still out there. Maybe, someday, it will be produced. If it is, I’ll definitely be there to watch it. All three hours of it. 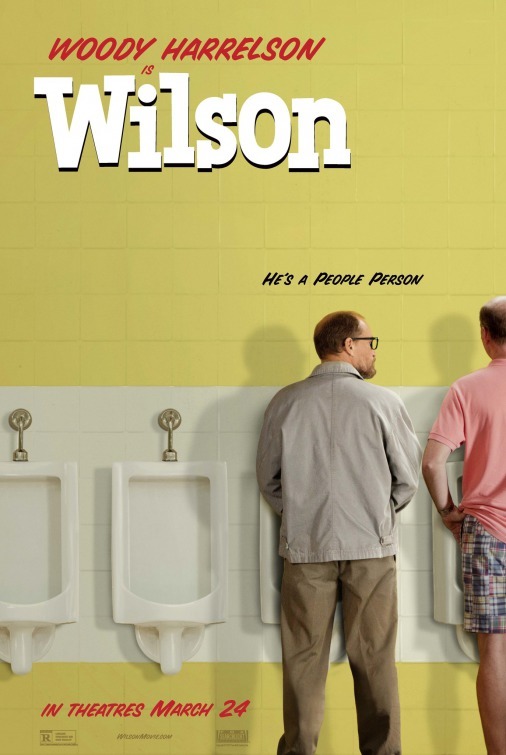 “Wilson” : Witty, Worrisome, Wistful — And Wise?